The beauty of the universe beyond our orbit is that it is a universe of extremes far, far removed from the nicely scaled world around us. But to what extremes can it go; what are the limits that it encounters, because lets face it there are always limits. 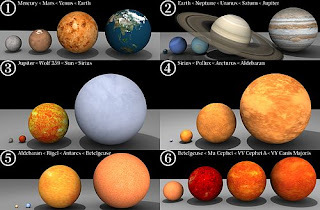 My question; how big, bright, or dense can a star physically get and have we observed them? 4,000 light years away embedded in a large optical nebula is one of the largest stars to be observed, VY Canis Majoris. It was thought to be over 2,000 times the radius of the Sun, if you placed it at the center of our solar system the Earth would be engulfed, its surface would extend out past the orbit of Saturn. Recent observations, however, estimate the radius of VY CMa at a smaller but still considerable size of 1,420±120 Rsun. This type of star is known as a Supergiant, and although overwhelmingly large in size Supergiants are relatively cool, with temperatures around 3,000K, making them appear red in color. Surveys of supergiants have revealed that the largest can range in size between 1,000 and 2,000 times that of the sun, although the upper limit is fuzzy due to the nature of the observations required to make such measurements. The upper limit for the radius of a star is likely to be around this range as at some point the outer material of the star will become unbound and the motion of the plasma will exceed the gravitational escape velocity of the core star. This type of star also commonly undergoes continuous fluctuations where the radius can change dramatically making an absolute measurement difficult, two of these pulsating variables can be found in Sagittarius, VX and KW Sagitarii, both with a maximum radius of ~1,500 solar radii. These large stars are found at the end stage of their evolution the Supergiants marking the last stop before they burn out and, although bright for their stellar type, are a far cry from the brightest of them all, the bright and the young. Although there is not an absolute limit set on the radius of a star there is a physical limit in their mass. This is called the Eddington Limit, marking the delicate balance between radiation pressure from fusion at the core and gravity collapsing the mass inwards. It is named after the British physicist Aurthur Eddington who, in 1919, proved Einstein’s theory of relativity by showing that light can be bent by gravity. This limit was thought to be at around 150 times the mass of the Sun, an unimaginable 2.97x1032kg. Stars around this limit are called hypergiants, with the most massive discovered to date breaking this boundary by over and additional 100 solar masses. This hypergiant lies at the heart of the Tarantula Nebula in the Large Magellanic Cloud and is known as R136a1, with its mass smashing the stellar scales at 265 times the mass of the Sun. This Eddington Limit also defines the boundary for the maximum luminosity that a star can reach. 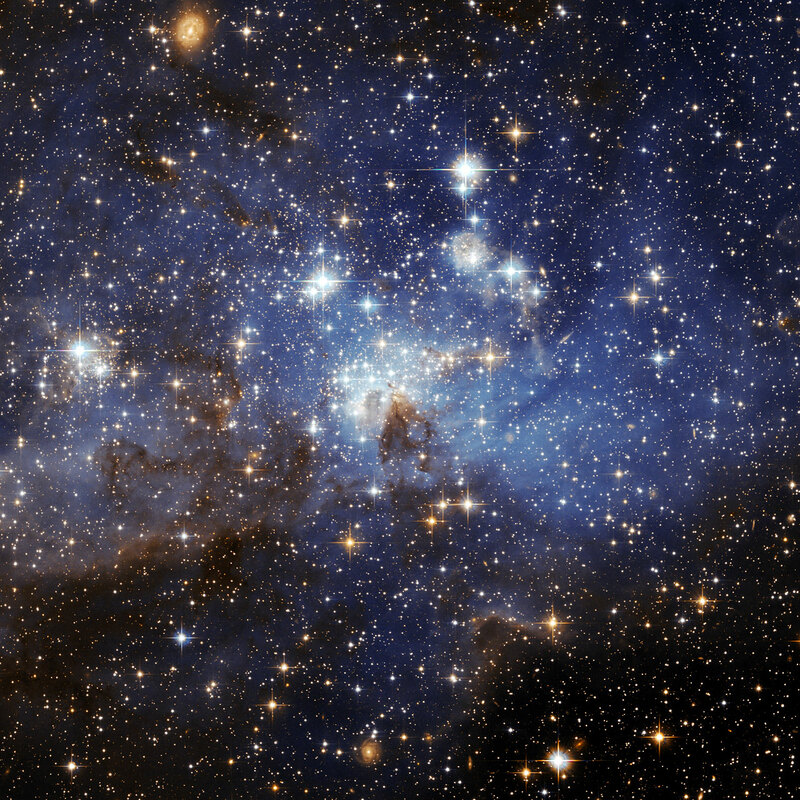 Luminosity is the measure of the total amount energy emitted by the star, measured in Watts. The Sun’s luminosity is equivalent to 6.41x1024 60W light bulbs (that is 641 thousand million billion light bulbs). 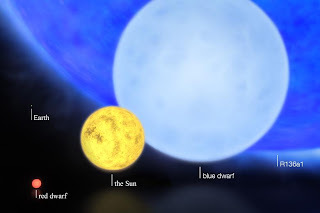 Hypergiants are young massive bright stars, and along with being the most massive R136a1 is also the most luminous out shining the sun by a whopping 8.7 million times. Though it is true that “The flame that burns twice as bright, burns half as long” and although our sun has already lived for over 4.5 billion years R136a1 and other hypergiants have the shortest time to grace us with their presence as they burn off their fuel at an alarming rate, around one solar mass every 20,000 years, giving them lifetimes of just a few million years. These stars at the end of their lives will most likely supernova and go out in flame and glory for all to see leaving behind a dense central core that then collapses under its own gravity, so much so that it forces protons and electrons to combine to make neutrons forming a “Neutron star”. 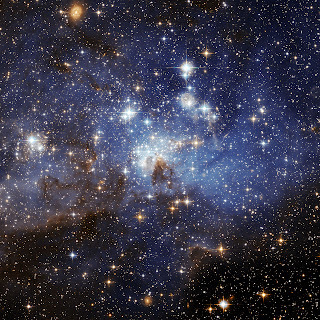 Neutron stars have so much mass packed into such a small volume that one teaspoonful would weigh a billion tons. The densest object discovered thus far is PSR J1614-2230, a rotating neutron star called a pulsar, and is equivalent of to Suns being squashed into a sphere the size of a small city, 1.97 times the mass of the sun with a radius of just 13km. Each of these objects represents the remarkable limit of nature; from gigantic stars the size of a solar system to the youngest and brightest routinely burning of suns. The universe has so many weird and wacky things to offer us breaking its limits each time we look up; we just need to make sure we keep looking. The following are a few links that I used along the way.